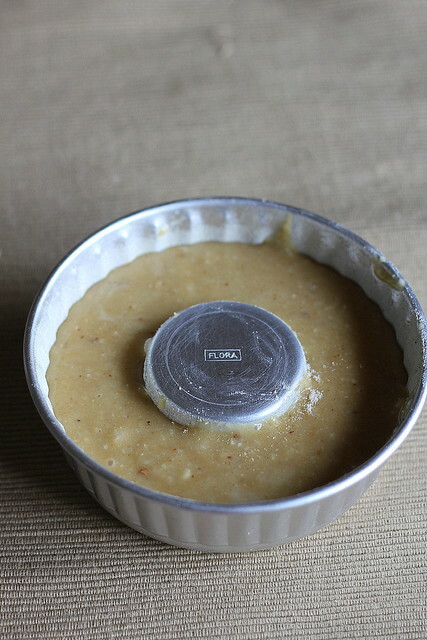 Ihappened to see this interesting combo ultimately made into perfect moist muffins in Dershana's space and I found myself whipping up the cake the very same day! Dershana, a charming girl, hails from my native town, grew up in the same little community and completed her graduation from the same old college I had been, is my classmate Archana's cousin as well. This interestingly combined cake batter, she admits, is her invention instilled by the demands of her cute little school going kid! So, obviously this is a kid friendly recipe. The flavour of fresh coconut, wheat, coconut oil and cardamom is a delicious melt in your mouth combo complimented by the richness of the cashews! 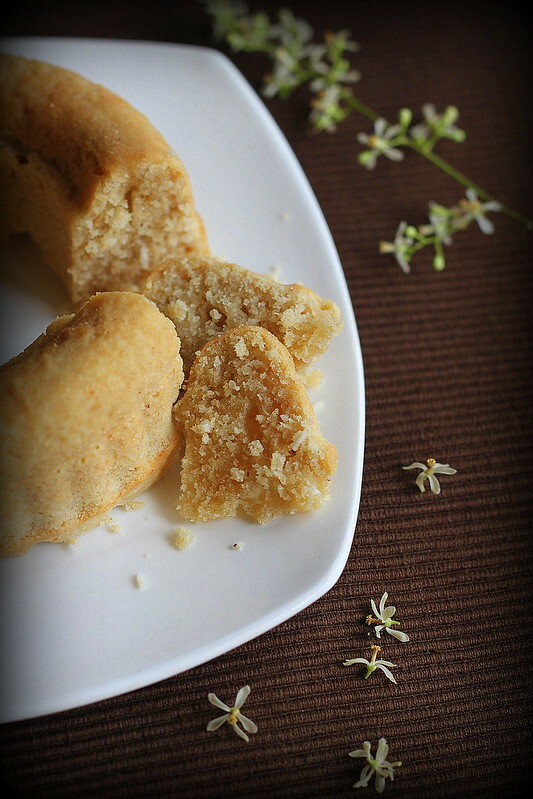 Something which spread a smile on my face in her recipe was the way the batter is prepared! The ingredients all in a chutney jar to begin with! :)...such a down to earth method which doesn't call for 'cream butter and sugar' as the initial whip as you find in the usual batter preps! Place the sugar, coconut, and cashews in the chutney jar of your mixie or the coffee grinder and pulse a few times to powder together. Add the egg, cardamom seeds, and oil and whisk again. Using a flat ladle mix together the baking powder and flour. Pour in the wet mixture and fold in well. 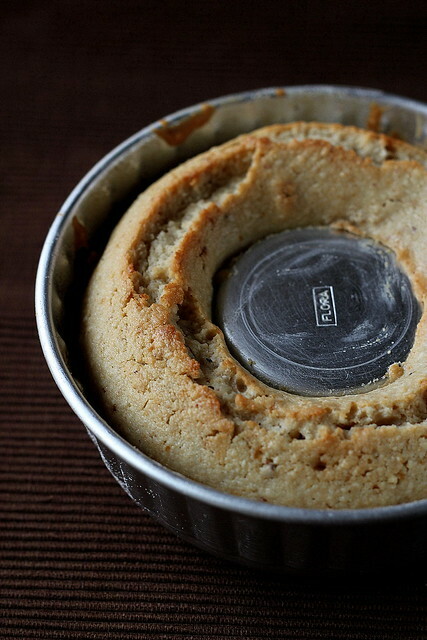 Add milk if necessary to form a thick cake batter. Water will be fine too. Preheat oven, pour batter into cupcake moulds (as in the original recipe) or you greased and dusted bundt pan (as in mine) and bake till a tooth pick poked in the centre comes out clear. Mine got a bit over baked as I left it unattended towards the end for more than 5 minutes. So it wasn't as moist as in the original recipe. So be careful when you do the same. It was delicious and I had an over load of it! This is for coconut lovers! I have never baked with coconut oil i love the idea and the flavour it might give. With coconut oil! I guess if you like the flavour it would be great. There are some dishes that are not the same without the addition of coconut oil. 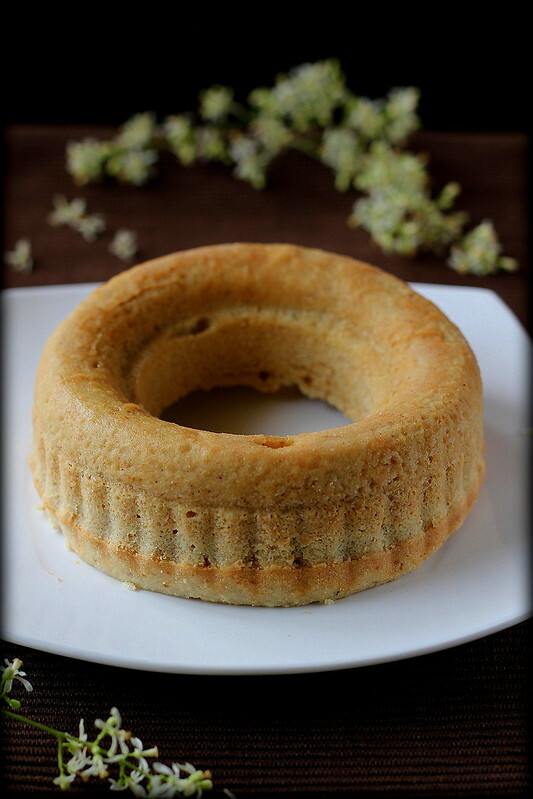 Yummy looking cake with coconut oil and wheat...Bookmarking this..
Coconut and cashews is a good combination. I am sure it would have tasted awesome. NEver thought of it before. wow, that looks amazing and delicious. love all the unique ingredients going in there. very healthy and delicious. Looks nice and sounds very different, i love coconut oil, but in a cake? Cake looks crumbly and very very nice and I can almost smell it here!!!! Lovely recipe! I totally like the sound and look of it. 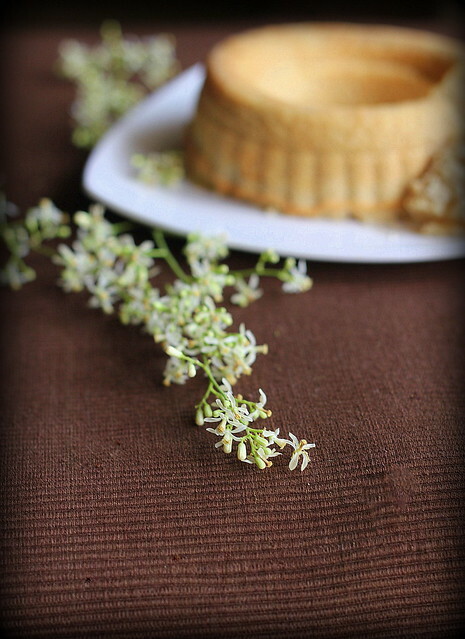 hey chechi, a big hug for trying and posting about my recipe:-)and, thanks for the lovely intro:-) so glad you liked it. Lovely pictures. Wish uncle and aunty a very happy anniversery from me too. That looks decadent. Love your pics every bit. Yum yum! Just saw your guest post. Love it. That is an unsual combo but looks superb...what size is the tin?? the size is not mentioned, prathibha, but its a 400ml capacity tin.. THANK YOU A LOT & LOT. What a drastic change? Feel very happy . I got 7 comments today only. intha Ellaa pugalum Bharathy kke. Coconut oil in a cake is not something I would have dared to use. But being a lover of all things coconut-y, I just might try this out.